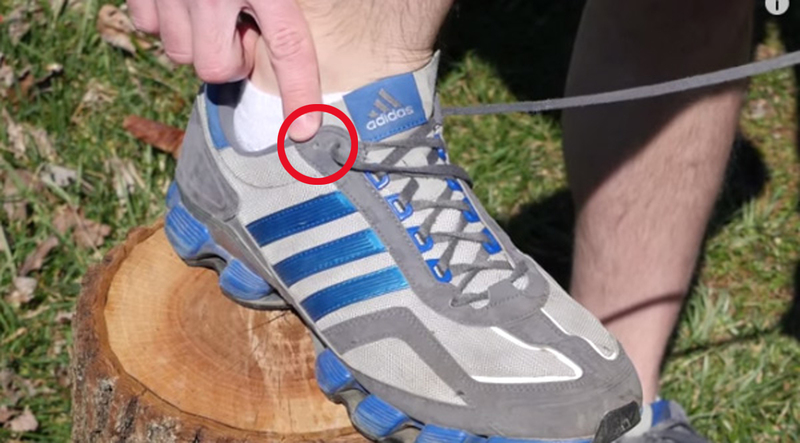 Ever wonder about those extra shoelace holes at the very top of your running shoes? Most sports and hiking shoes have these at the very top, however many of us have probably never even noticed them, let alone put them to any use. Normally, we’d just skip the top-most holes and tie our shoelace as usual. But, after you see this video you will finally find out the purpose of these holes and how to use them to avoid getting blisters on your heels and to stop your feet from cramming forward into the front of the shoe while doing sports. When you use the “heel lock" or “lace lock" method to tie your shoes, it will create more friction between the laces at the top of the shoe which are closest to your ankle. The goal is to keep the ankle and heel tight and snug in place without having to re-tighten your shoe. Even if your shoes don’t come with the extra holes, this technique can still be used on the top-most hole instead.